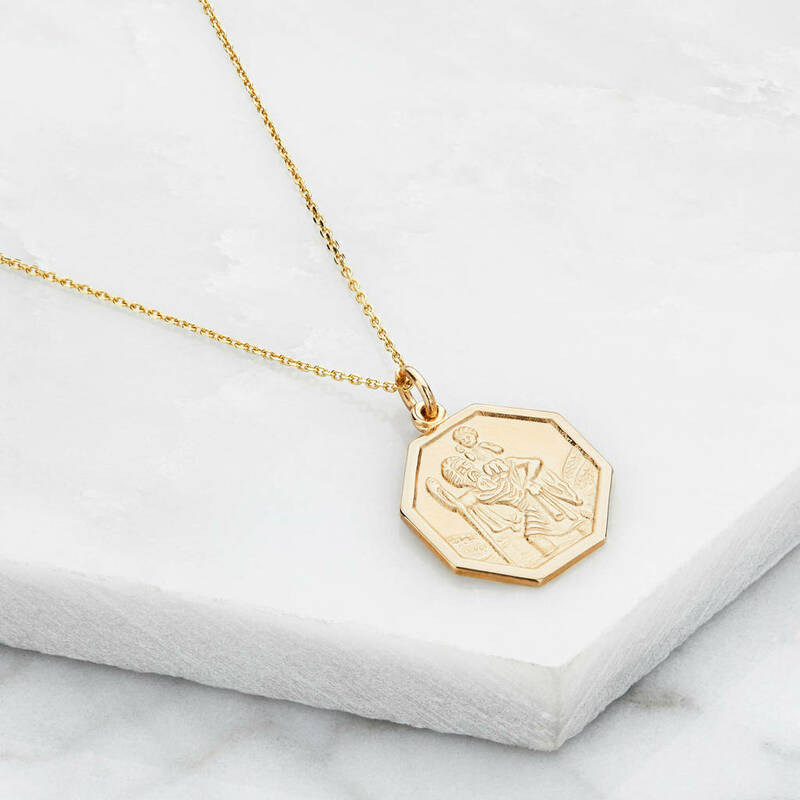 Lily & Roo's silver or solid gold St Christopher medallion necklace is the perfect meaningful gift for a mother, daughter, best friend or loved one. 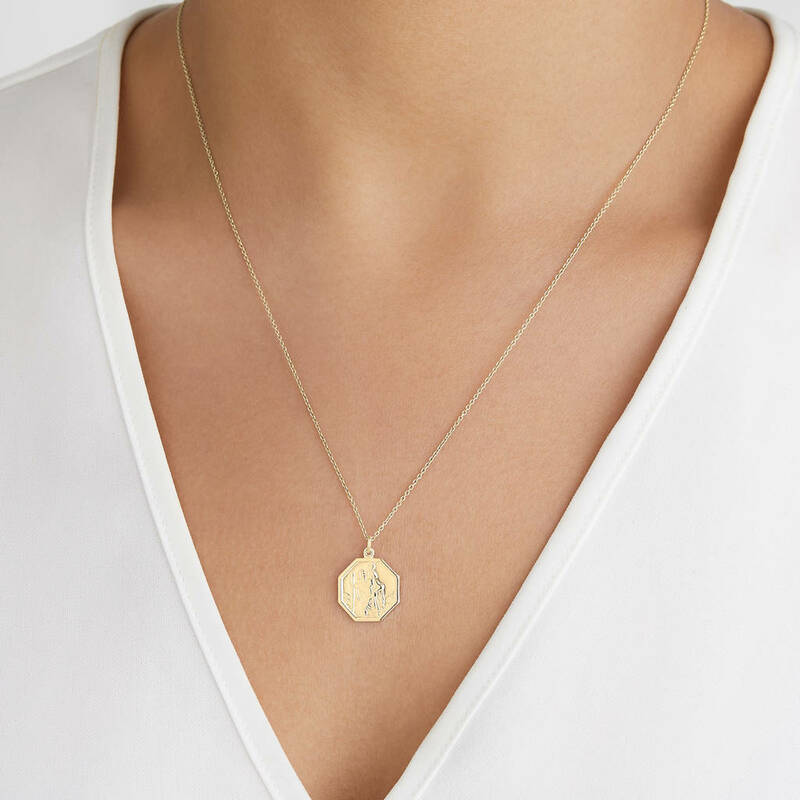 Being solid gold or solid silver, this piece will last a lifetime. 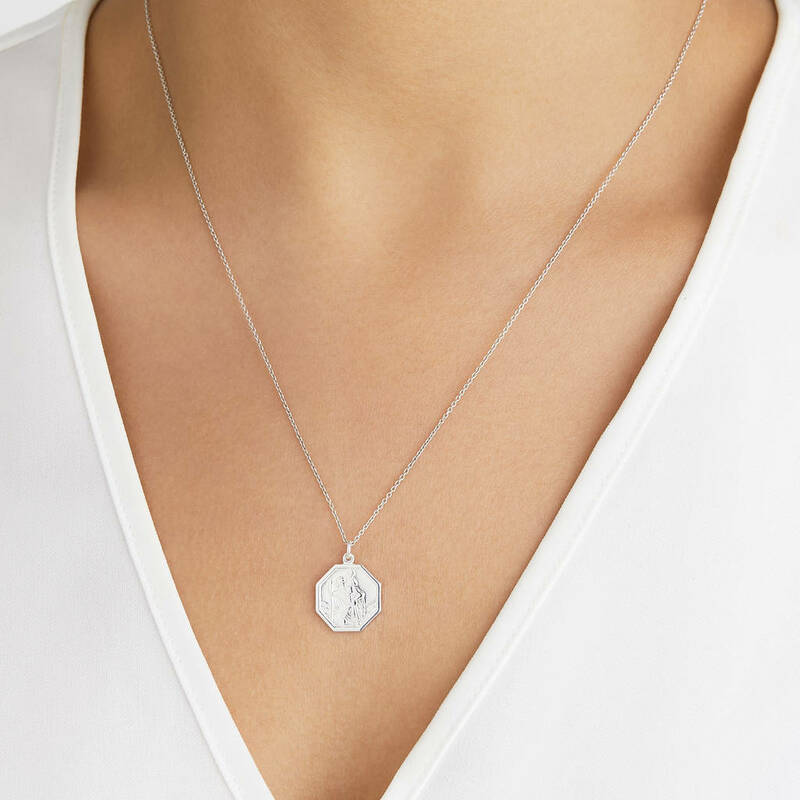 Keep this St Christopher pendant necklace close to your heart while letting its subtle style compliment any outfit. 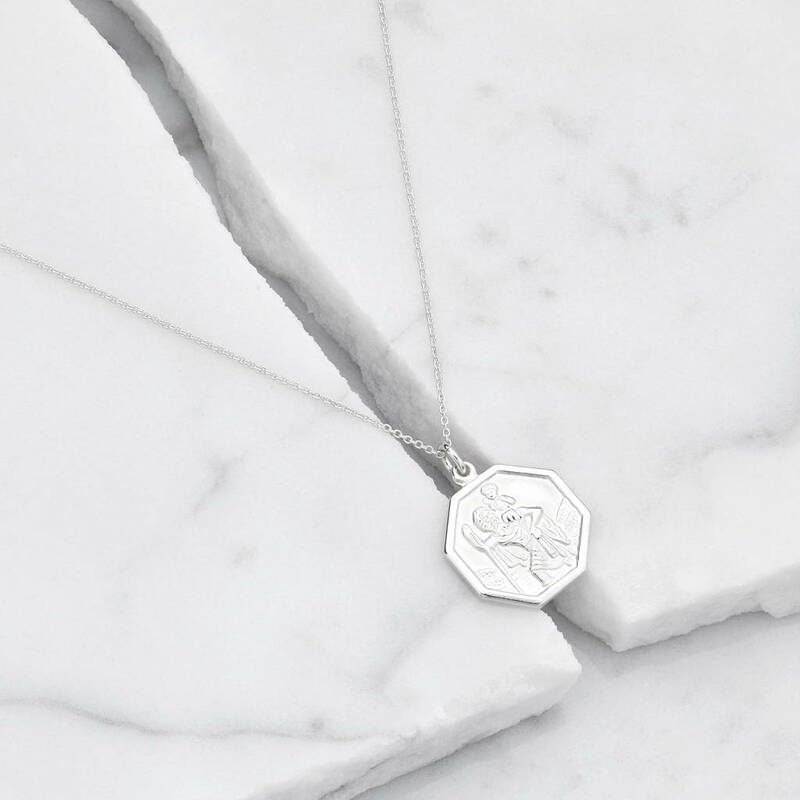 Our St Christopher medallion necklaces come in a Lily & Roo gift box. See our other pieces of jewellery by clicking 'Lily & Roo' at the top of this page. Sterling silver, 9ct. solid gold or 9ct solid white gold.